Controllink’s core of engineers and designers work hard to provide our customers with programming, design and automation services of premier quality. Their wealth of experience in a broad range of industries enable us to serve our clients’ diverse and demanding needs. Our programing engineers have the skills to tackle any project. They have a wealth of knowledge and the understanding to program and automate your needs. Controllink uses both AutoCAD Electrical and Bentley’s intelligent Promis-E. Controllink provides customers with professional electrical schematics, panel layouts, BOMs, wire lists, terminal plans, riser diagrams, plc I/O spreadsheets and whatever else the project might demand. 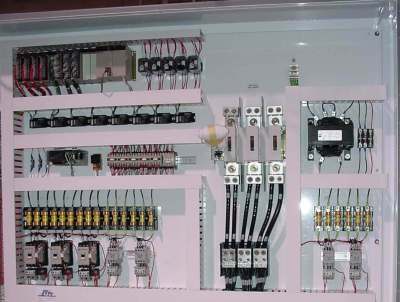 Our services extend past engineering and deign to panel fabrication and control system installation. In Controllink, our clients find a reliable source for expertly built panels of any size. We also offer installation and startup assistance services. 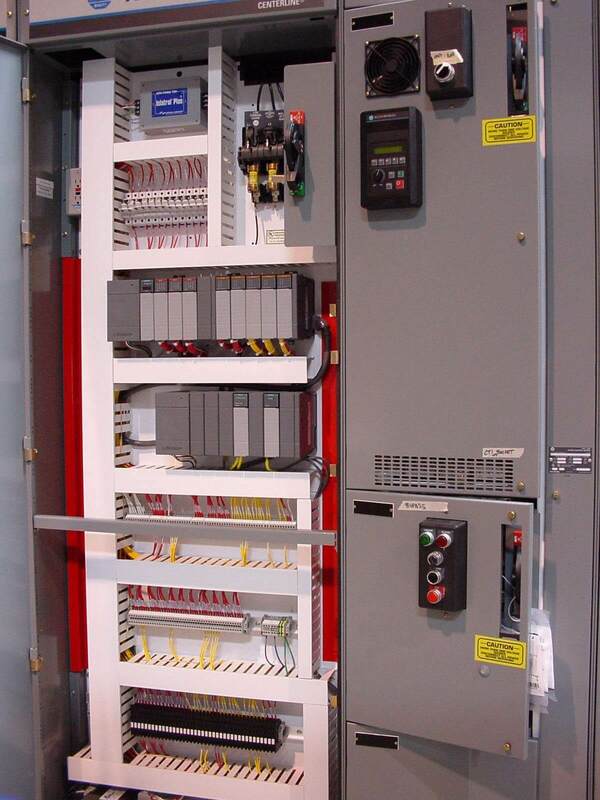 Our fully staffed industrial control panel manufacturing group can accommodate any size enclosure. We can custom design and build equipment ranging from MCCs to freestanding enclosures all the way to small junction boxes. No installation is too complex. We strive to provide our customers with a turnkey solution. Design, panel build, onsite programing and installation; We can do it all. Big or small, Controllink is able to handle any size project your company needs. Take a look at some of our previous projects below. When mother nature drops too much rain this control is in place to help out. Specialized control panel to monitor and assist when mother nature drops too much rain. 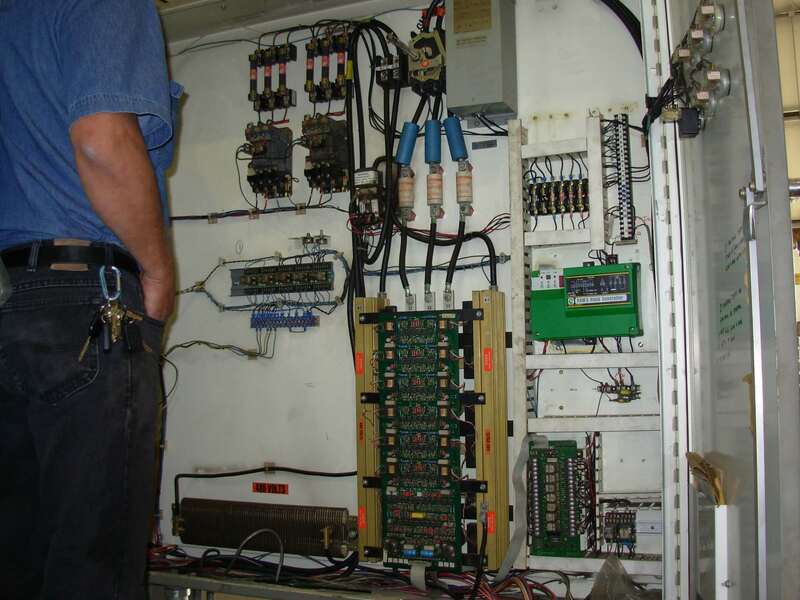 This control is handling and monitoring a water run off system in a large metropolitan city. 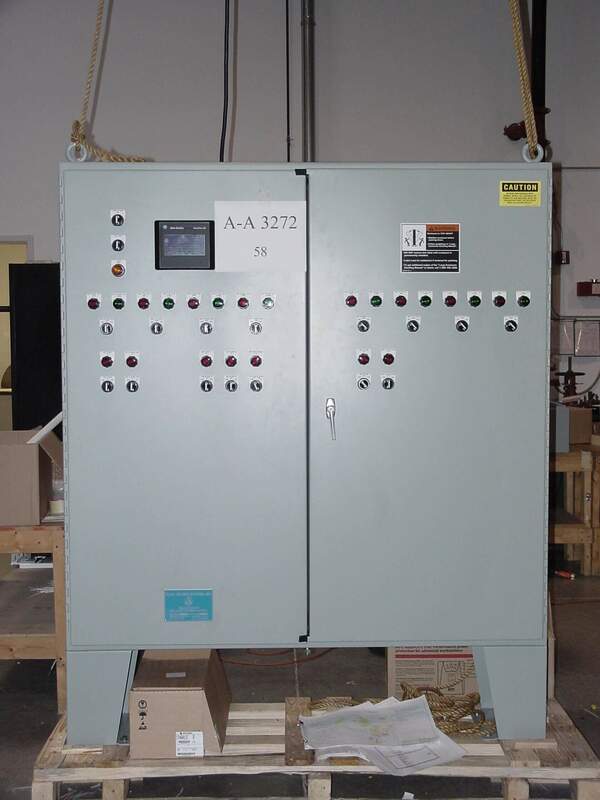 The control has imbedded alarms and PlC control to automatically monitor pumps and flow. The system can be tested automatically and has manual overrides in case runoff has to be diverted in a emergency situation. Provisions were made for future expansion of the system as the city grows. The system has a battery back up to keep things running smooth in case of a power failure. A man machine interface keeps track and logs how the system handled itself during its operation. 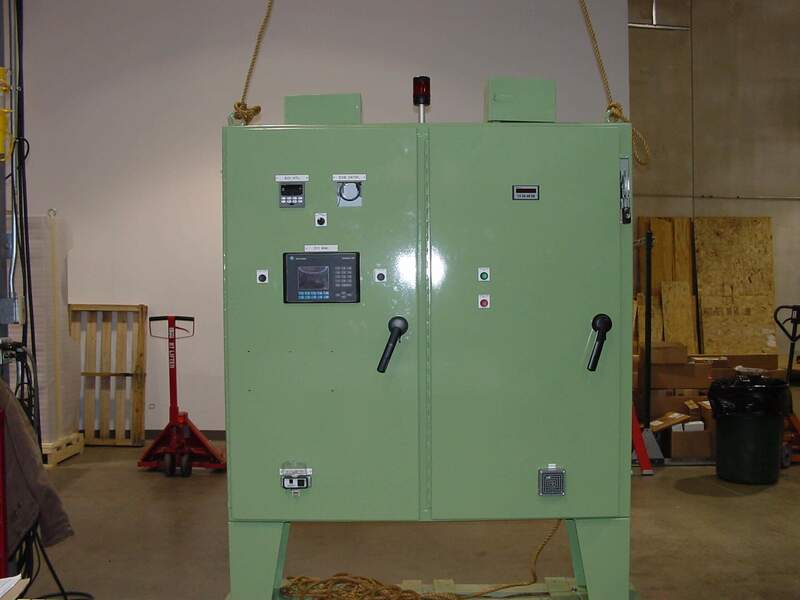 Chilled water control required for injection molding company. This system was a retrofit to a existing MCC and a new control panel to provide chilled water to several injection molding machines. The previous control’s were out of date and no longer reliable. We designed, built, programmed and commissioned this new system. Chilled water pumps, recirculation pumps, chilled water tower pump down and chiller cooling fans were all incorporated into a fully automatic on demand system. The system ran with input from the demand of machines running, analog sensors monitoring temperature, and flow to maintain adequate cooling of the injections machines. Manual interface could be achieved to bypass certain areas for maintenance and high demand areas. Before and after roll former controls. 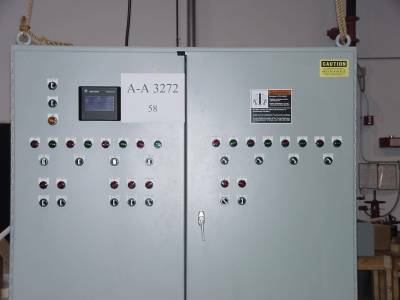 Electrically aged and obsolete controls for a steel roll former. Customer needed a new control panel which ran a roll former. We went in took pictures and redesigned the existing control panel with current technology. Provided new component’s, new drawings and complete Bill of Materials. Existing programs were used as a guideline to be incorporated into the new roll former. 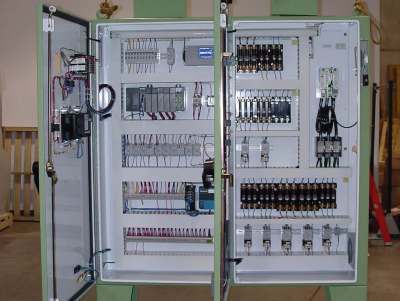 New panel and controls were built off site and implemented during a one week plant shutdown. Brand new paint line controls for a semi-truck assembly line. 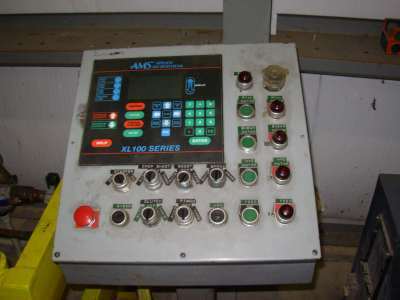 We designed the control panel around the mechanics of the automation required to move the cab along a paint line. From concept to completion the controls were designed, approved, built and programmed in accordance with the specification’s provided. Recipes for speed, paint color and size of cab were stored in a man machine interface.